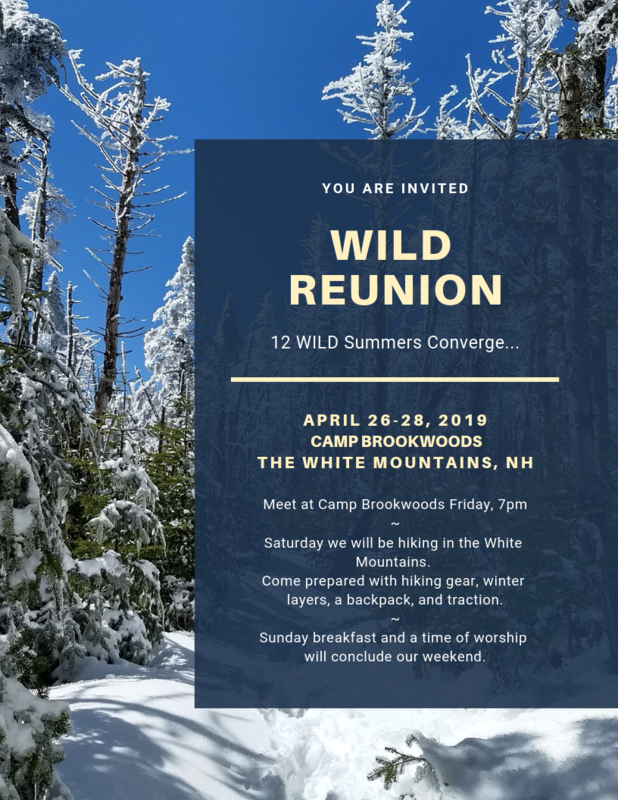 Former WILD campers and staff get together in New Hampshire to reconnect. We will spend a weekend encouraging each other, sharing stories, and making some new memories. Come stay at Camp Brookwoods for the weekend and hike in the White Mountains with your friends from WILD. Housing and meals are provided. Come prepared with hiking gear, winter layers, a backpack, and traction (micro spikes or snow shoes). For more information or any questions, please contact hannah@christiancamps.net. Cost of the weekend is $75 per person and you can click here to register. Friday evening: 7 pm arrival and hangout time. Saturday: Day hike in the White Mountains. Sunday morning: Breakfast and worship. Fall at MRO is a very special time. The leaves are all changing. The summer schedule calms down and becomes the fall retreat season. We host a couple churches on weekends and begin to mothball the camp as we prepare to shut the site down for the winter. In two days Hannah, Adam, and a few others of us will be headed back up to blow the leaves off and finalize the winterization. To be at camp when its is empty is a weird mix of peace and sadness. The beauty of the MRO property has an added dimension when it is quiet and there are no sounds other than ones that exist in the natural settings. The sad part is that we have no one to share that with when we are at camp without campers. MRO is in its best form when it is full of campers. The clash of the noisiness of camp with the natural beauty of the property means there are people enjoying MRO. The physical site is great but the thing that makes MRO truly special is the people. On this coming Saturday our work at MRO will be done for the year and we will lock the gate behind us. Both with sadness that no one will enjoy it until we return in late May and with anticipation of another great summer when camp is full of the people we love again.